If you love scrapbooking, printable die cuts can make your life a little easier. By printing these shapes using your home computer you'll save some money and have your die cuts almost instantly. Print out these versatile shapes and use them as they are, or embellish them to give your pages a little extra flair. In the strictest sense, printable die cuts aren't really considered "die cuts." That's because a "die" is a tool that uses a press to cut out materials. In order to be considered a true "die cut," a shape must have been made by a machine. However, this distinction is mostly a matter of semantics; print out these free die cuts and use them as you would regular scrapbooking cutouts for the same end result. 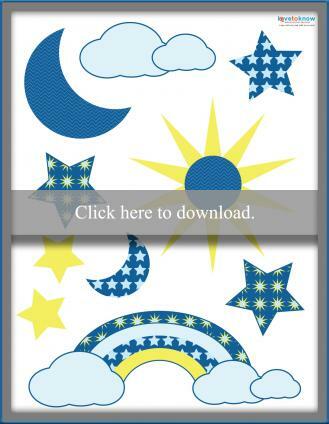 Download these free printable die cuts by clicking on the set you want. 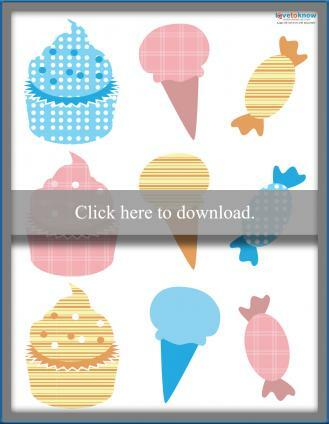 If you need help downloading the printables, check out these helpful tips. Print them out onto your choice of scrapbooking paper or cardstock and cut them out for an instant scrapbook embellishment. 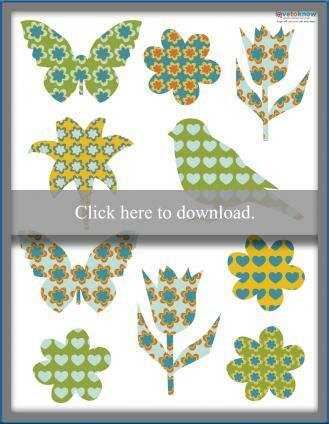 Download these printable garden die cuts. 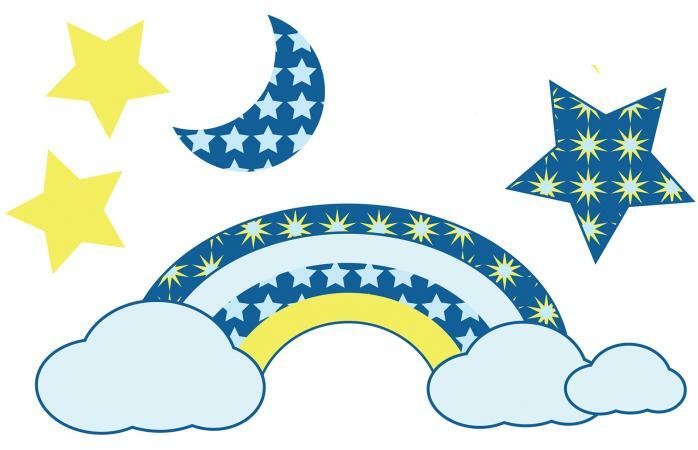 Download this set of sky-themed die cuts. Download this set of sweet die cuts. 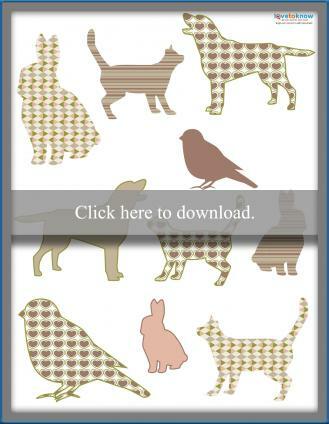 Download these free animal die cuts. Use rubber stamps to enhance the images. For example, if you have a large die cut of a flower, use smaller flower stamps to create a layered look. To give your scrapbook shapes a worn or vintage look, try sanding with emery boards, sandpaper, steel wool or wire brushes. Attach embellishments to your die cuts for additional texture. Try using brads, eyelets and buttons. You can use these items to layer die cuts for a three-dimensional appearance. If you're handy with the sewing machine, you can also sew on die cuts. Make sure you use a heavy-weight cardstock, and try out some fancy sewing machine stitches. To create some additional designs, try sewing on the paper without any thread. While printables aren't true die cuts, they are a fun way to update and embellish any scrapbook page. Choose a few die cuts that will match your theme and play around with the placements until you come up with the perfect addition to your layout.